One can truly tell the season is approaching its conclusion when you get to the penultimate homestand of the year. The Yankees host two rebuilding AL Central teams this week, beginning with the Chicago White Sox. The Bombers are just three weeks removed from sweeping the South Siders at Guaranteed Rate Field on Aug. 6-8. Lance Lynn dominated the White Sox in his first Yankee start, helping to end a five-game losing streak for New York. The Yankees needed extra innings and a solid relief appearance from Sonny Gray to escape with a win in Game 2. Giancarlo Stanton and Miguel Andujar provided the heroics on offense. 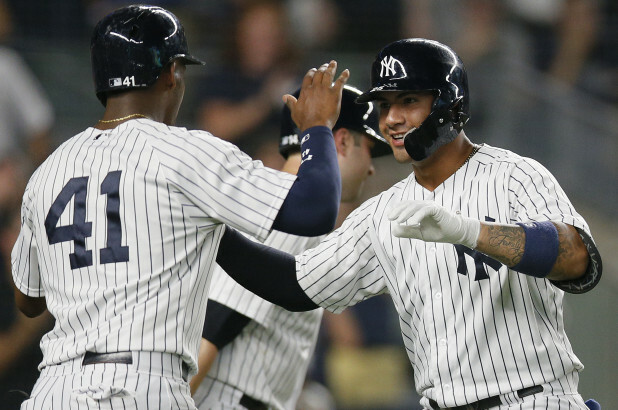 Stanton’s grand slam buoyed the Yankees to a sweep while Luis Severino went seven strong for a quality start. 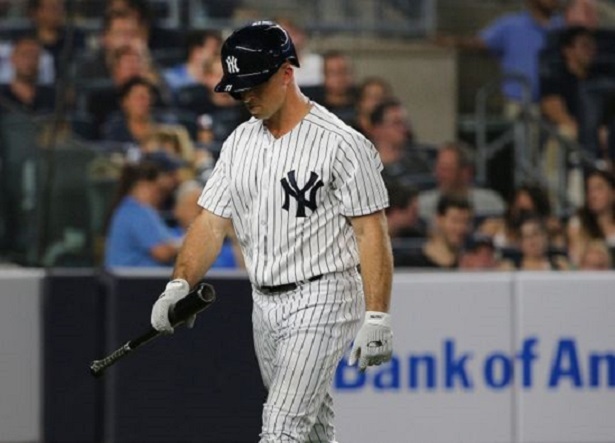 The Yankees would have had a much easier time if Adam Engel didn’t take away multiple home runs. The big news since last time is that Jose Abreu, the White Sox’s lone All Star, underwent abdominal surgery and is out until September. OF Leury Garcia also suffered a hamstring injury that could finish off his season. The White Sox remain mired in fourth place at 51-79, matching their Pythagorean record. They’re in the middle part of a rebuild, no longer at the nadir of trading all assets and not yet in a place to contend. They have plenty of talent in the minor leagues as well as some fledgling former prospects working to make it in the majors, but Chicago is still a few years from seeing a second contending team within city limits. Expect Anderson in the leadoff spot when CC Sabathia starts Wednesday while former Twins OF Ryan LaMarre could find his way into the lineup as well. After battling injuries and high expectations for years, Carlos Rodon — the 2014 No. 3 overall pick — is starting to find a groove in his fourth season. In each of eight starts since the start of July, he’s tossed at least six innings while giving up no more than three runs. In fact, he’s only given up more than two runs once while going seven or more innings in five of the eight outings. Interestingly, his K-BB rate has declined this season, but he’s held opponents to a .183 batting average while cutting his home run rate significantly. He has a 64 ERA- but a 100 FIP-. 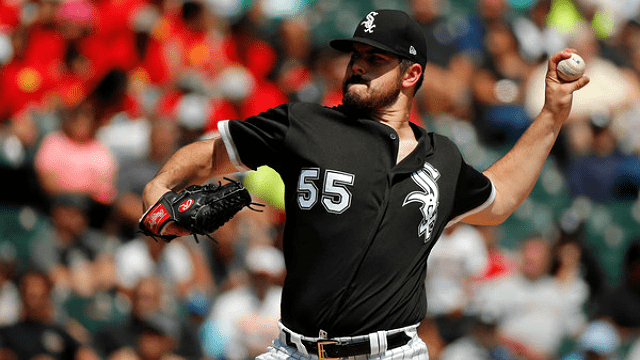 Rodon works off a 93-mph fastball with an effective mid-80s slider he throws a fourth of the time and a changeup he goes to as a third offering. Big Game James! James Shields was one of the worst pitchers in the American League in 2016-17, but he’s been a more average-ish workhorse this year. Still not worth trading Fernando Tatis Jr. for, but much more effective. He’s cut down on walks and home runs and sports a 4.59 ERA, much better than his 5.99 ERA as a Chicago pitcher before this season. Shields uses his high-80s fastball a third of the time while working in a cutter, curveball and changeup each at least 18 percent. Only his changeup has a positive pitch value on Fangraphs, though his fastball hasn’t been quite the negative as it was in the past. In a rematch of earlier this month, Reynaldo Lopez will face the task of staring down the veteran Sabathia. 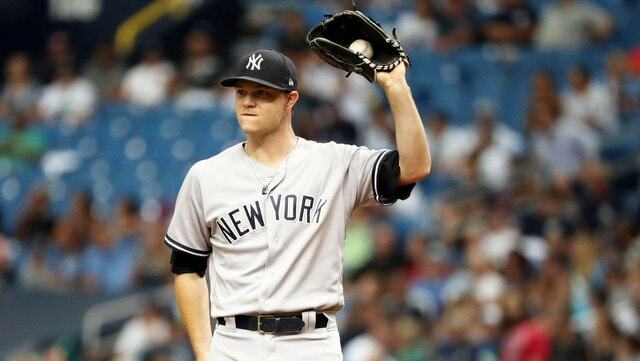 The young righty no-hit the Yankees until the sixth inning on Aug. 7 and allowed just one run over seven innings. However, since that start, he hasn’t completed six innings and has been lit up by the Tigers and Royals over three starts to the tune of a .321/.383/.566 batting line. Yikes. Lopez works off his mid-90s fastball while going to a mid-80s slider and mid-80s changeup. He’ll also throw an occasional slow curve. The White Sox traded Luis Avilan to the Phillies last week, which means they are short another veteran arm in their pen. Still, the White Sox’s bullpen is much more respectable than you might expect. Here are their numbers since the All-Star break. LHP Jace Fry has picked up Chicago’s last two saves, but it seems to be more of a closer-by-committee situation. Fellow southpaws Hector Santiago and Xavier Cedeno get plenty of appearances, as do righties Juan Minaya and Jeanmar Gomez. Only Yankees connection on the 40-man roster is Ian Clarkin, who was part of the Robertson-Kahnle-Frazier deal last season. Rodon has the ability to electrify, but the Yankees are quite competent against left-handed pitching, even without Aaron Judge and Gary Sanchez. The matchup between Rodon and Stanton should be fun. Can Engel stop robbing everyone’s homers? Please and thank you. After a demoralizing series with the Red Sox, the Yankees get their first taste of the lackluster White Sox this season. 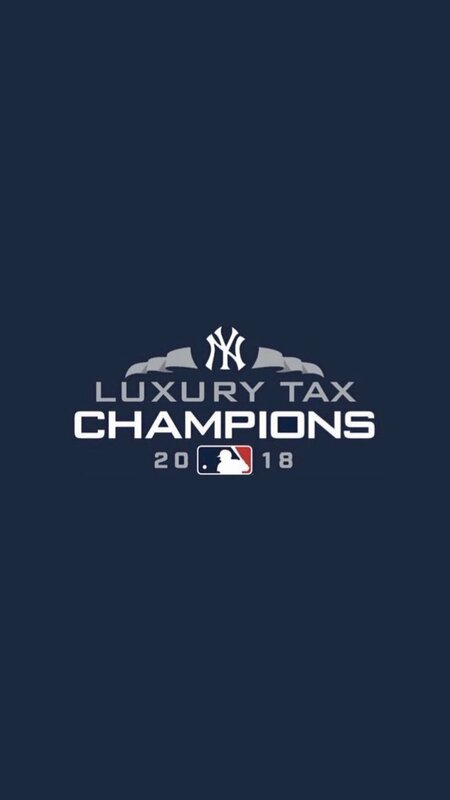 They’re the only AL team the Yankees have not yet played. The Bombers traveled to Chicago for a four-game set and had a disappointing split from June 26-29, 2017. Jordan Montgomery and Masahiro Tanaka picked up wins in Games 1 and 3 of the series, backed by homers from Tyler Austin, Aaron Judge and Didi Gregorius. In Game 2, Luis Severino went toe-to-toe with Jose Quintana and the Yankees grabbed a 3-1 lead off Tommy Kahnle. However, Domingo German, Tyler Clippard and Dellin Betances blew it in a walk-off loss. 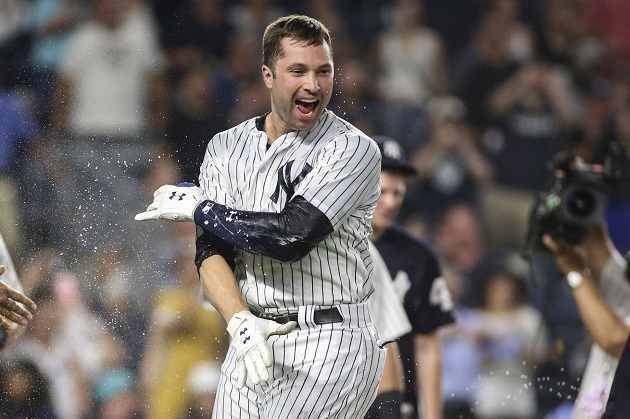 Game 4 was a lackluster 4-3 loss lowlighted by Dustin Fowler’s knee injury in what ended up being his only appearance as a Yankee. Yankees nemesis Miguel Gonzalez is out for the year with right shoulder surgery while reliever Nate Jones has a muscle strain in his throwing arm. Danny Farquhar is recovering from his brain hemorrhage in April. At 41-70, the White Sox are surprisingly not in last place in the American League Central, though that’s simply because the Royals are historically bad. 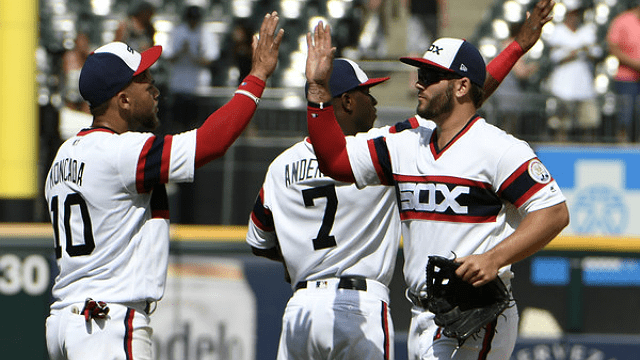 The White Sox are in the midst of a rebuild and surely look like it. They’re in the bottom 10 in WAR on offense and in the starting rotation, though their bullpen is in the middle of the pack. Matt Davidson will likely get the start at DH against CC Sabathia while Adam Engel often gets starts in center. 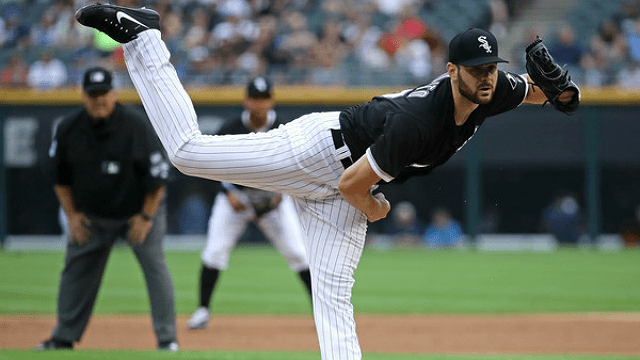 Covey is a second-year righty who, despite below-replacement-level performance, has received the chance to stick in the rotation for much of the season. He enters Monday with a 5.57 ERA (4.64 FIP) and a 10 percent walk rate. After throwing 8 1/3 innings of shutout ball three starts ago, he’s coming off two starts where he failed to get through five and allowed 6-7 runs. Covey throws in the low-to-mid 90s and attacks with his sinking fastball that he throws 5/8ths of the time. He also works in a high-80s slider, mid-80s changeup and low-80s curveball. The sinker has been his best pitch. Lopez is coming off one of his best starts of the season as he held a lackluster Royals lineup to two runs over seven innings. However, that came after three starts in which he allowed a combined eight home runs, 18 runs and eight walks over 17 innings. That’s why after a strong start to the year, his ERA is up to 4.47 with a 5.17 FIP over 129 innings. Like Covey, Lopez has a high walk rate (10.2 percent). He goes at hitters with his mid-90s fastball 60 percent of the time while relying on his slider and changeup as his main offspeed pitches. If you’re sensing a trend with these young White Sox starters, it’s that they are wild. Giolito is the wildest of them all. 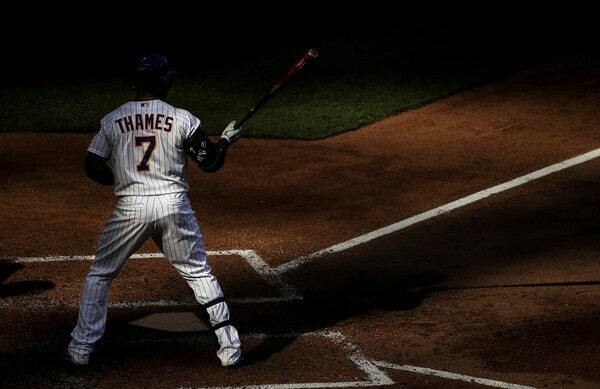 He leads AL pitchers with 68 walks issued and 12 HBPs. That recipe is why he has a 5.97 ERA (5.92 FIP) over 120 2/3 innings. He also has allowed 19 homers and only struck out 77. Yikes. The 6-foot-6 righty sits in the low 90s and works in a four-seam fastball and a sinker. He also contains a mid-80s slider, low-80s changeup and high-70s curveball in his arsenal. After trading Joakim Soria, the team doesn’t have a set closer with three different pitchers getting saves the last four games. Lefty Luis Avilan has been solid recently while fellow lefties Hector Santiago and Jace Fry get plenty of work. Juan Minaya, Jeanmar Gomez and Thyago Vieira are some of the main right-handers while former Rays lefty Xavier Cedeno has cooled off after a strong start to his season. Danny Farquhar, who is on the DL, was one of two players the Yankees traded for Ichiro. MiLB OF Trayce Thompson was in the Yankees’ system for all of two days this year. Former NYY prospect Ian Clarkin is on the 40-man roster. Walks. There’s a chance these games take a while if the Yankees show patience and let this pitching staff beat itself. Rookie Daniel Palka is a powerhouse with 17 homers in 270 plate appearances. Let’s see if he can have the same success vs. the Bombers.